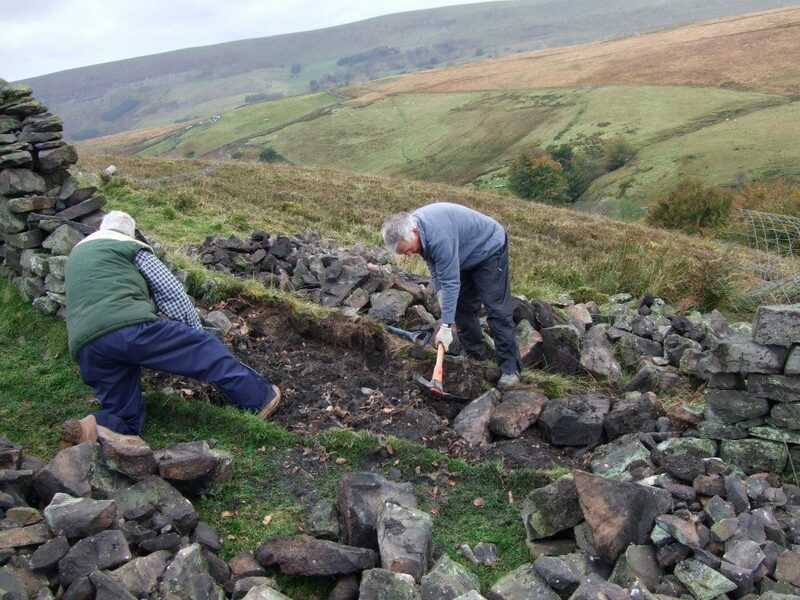 This week we’re focusing on dry stone walling at Forgotten Landscapes. There are over ten kilometers of walls in need of a bit of work in the area, so we thought we’d get a little bit of an insight from someone currently involved with the project. What’s your role at Forgotten Landscapes? 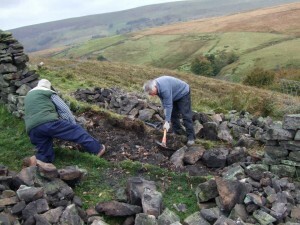 I teach and instruct volunteers and groups on how to build dry stonewalls. I’m also a fully qualified and professional dry stonemason. 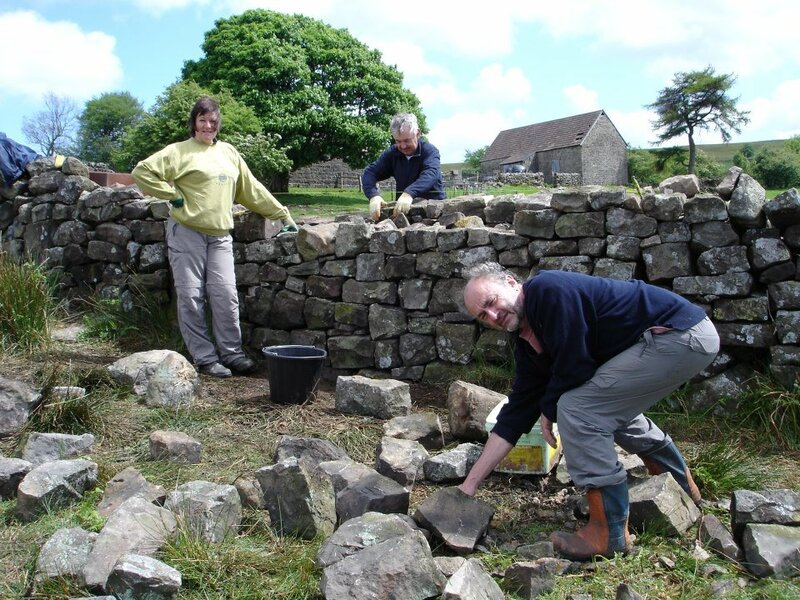 Why is dry stone walling so important to Forgotten Landscapes? When Forgotten Landscapes first started up, a commissioned consultant raised the issue that dry stonewalling was an essential part of the area. The walls form some of the most distinctive parts of the area’s landscapes, and are a huge part of British Heritage. What do volunteers get from doing this? This is a wonderful opportunity to contribute to keeping some of Britain’s most distinctive landmarks preserved and making a difference for other people. There’s also a big sense of achievement, because the voluntary course itself can be a challenge. Participants will learn a new skill and gain a qualification as well. There are taster days where volunteers go along for the day, then anyone interested in doing more will go on to do training all the way through to Christmas over a series of dates. All the principles stay the same throughout the British Isles, the only thing that is unique to Blaenavon is the type of stone. Some areas will use smaller stones, but here at Forgotten Landscapes we tend to have bigger pieces. The rocks and stones have been in the same place for centuries and would have originally come from nearby quarries and rocks picked up from ploughing fields. How much work needs to be done in the area? A lot! The project needs more work. We already have a good number of volunteers, but we are still looking for more. The original plan was to try and get 10 km of wall complete. We want to save the landscape, with the help from the public. How old are the walls? The walls date back to around 1850, when the Enclosures Act was formed. The aim of the act was to take land off three main landowners and give out parcels of land to tenant farmers. The walls are a great representation of fairness in society. It was something that created more opportunities to the people of South Wales. To learn more about volunteering contact Forgotten Landscapes today. Summer with the Community: The 5 Best Things to Do!